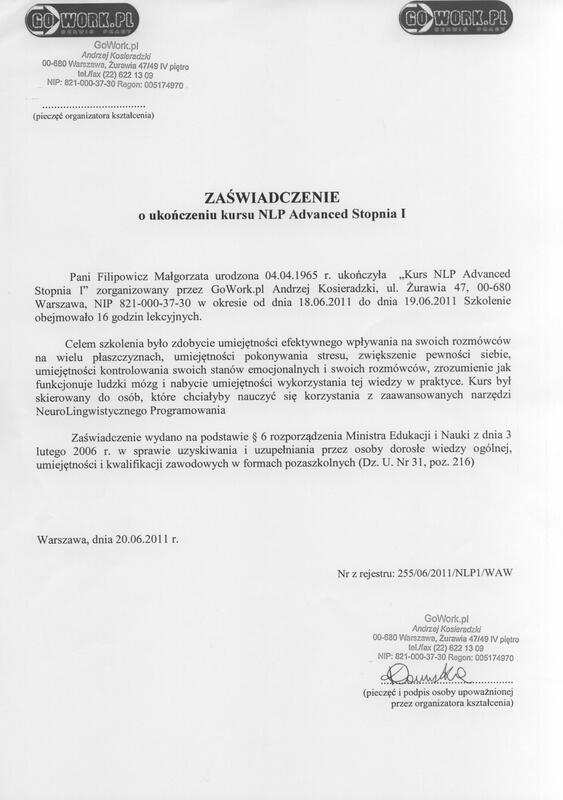 My name is Małgorzata Filipowicz. I am 50 years old. I am a coach and a trainer. 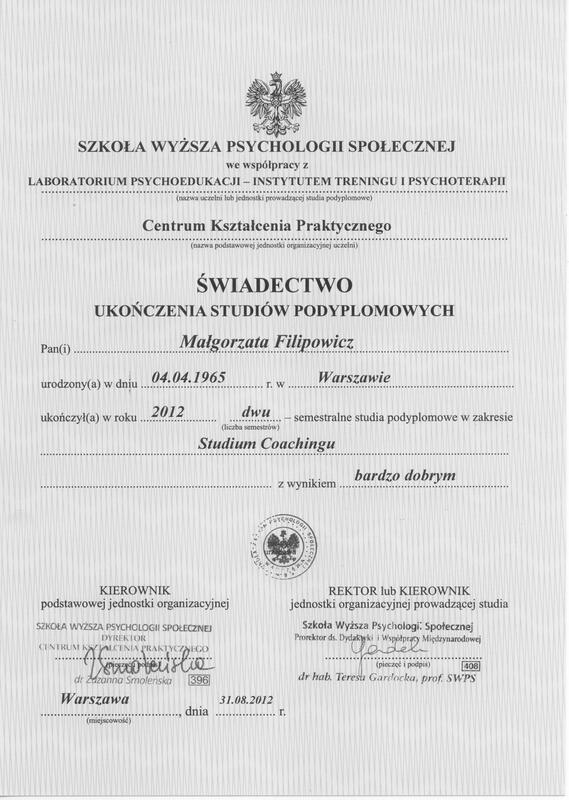 I have graduated in Post MA Diploma Studies of Coaching at Higher School of Social Psychology in Warsaw with mark A and The Course for First Grade Trainers at 11 Muses Foundation in Łódź. I have almost 30 years’ experience in working with individual clients and groups. My experience also concerns the work in corporations, national organisations and running my own firm. 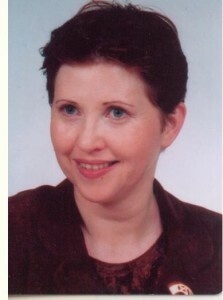 I am interested in coaching, psychology, music, film and tourism in Poland and abroad. 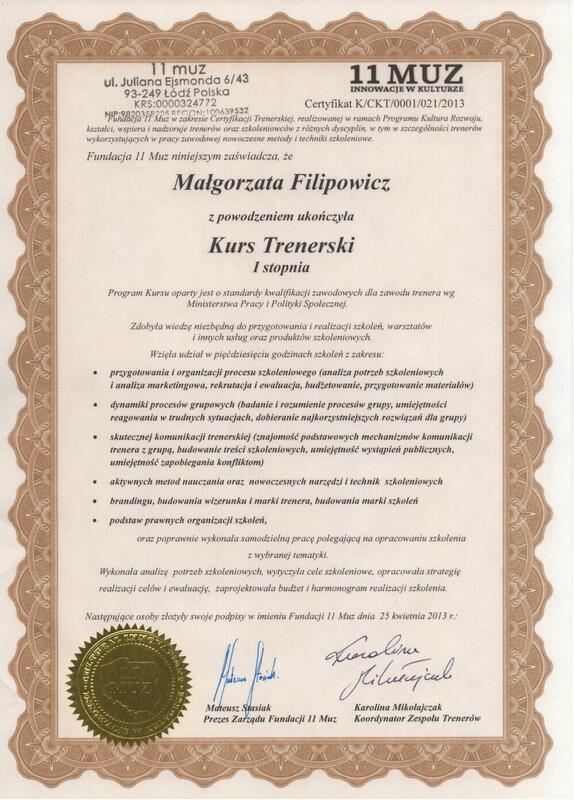 I have walked in all Polish mountains and I received Gold Mountain Tourist Badge.